Abstract: On the top notch international exhibition, CeBIT enjoys a high reputation global wide. The CeBIT 2016 was meaningful for Airwheel, as it was more than an exhibition, but a new products release conference. 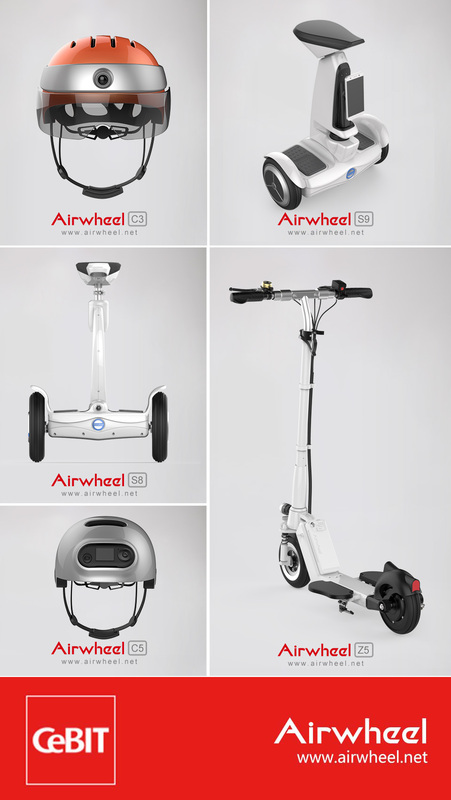 With the addition of Airwheel S8, S9, Z5 and C series, Airwheel was once again fully reflected on the international market. With the addition of Airwheel S8, S9, Z5 and C series, Airwheel was once again fully reflected on the international market. The harvest of Airwheel was quite abundant. The Airwheel S8 double-wheels electric scooter, S9 service robots, Z5 standing up electric scooter and C series turned out to be a huge success. Other than that, high-tech enterprises from Germany and Asia have signed project cooperation MOU with Airwheel on the UL certification and spare and accessory parts production. Another highlight is the official media of CeBIT came to Airwheel booth to have an interview with Airwheel. It was a great honour for Airwheel to be interviewed. "Airwheel plans to extend its reach to personal companion, household services, smart home appliances, etc. in the future." said Zuo Guogang, CEO of Airwheel. "However, we will not launch new products in haste before the related technologies mature. We'll play it safe, being responsible for both our customers and shareholders." Also, the potential dealers and companies showed great interest in the coming new series of Airwheel product. 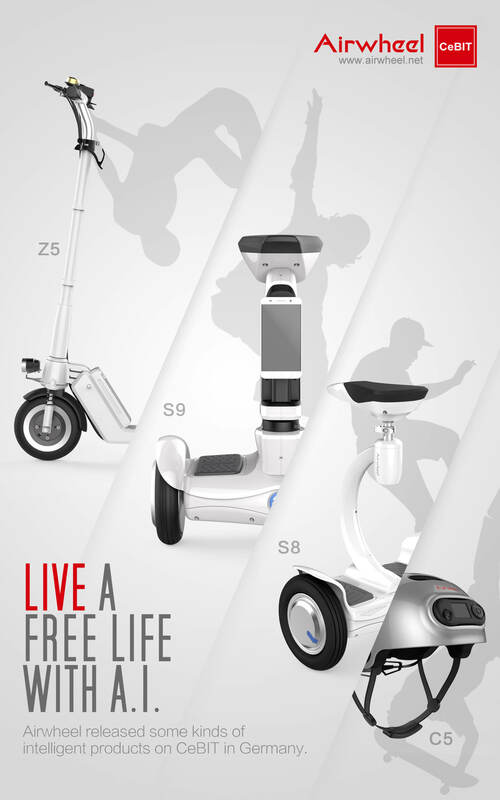 The born of Airwheel S9 two wheeled self-balancing robot was a solid evidence for Airwheel's strength and capability. Airwheel will reinforce the status in artificial intelligence industry and launch more new models in the coming 3 years to empower citizens' more comfortable life. All of this indicated a promising prospect of Airwheel electric scooter. If you are interested in Airwheel, please feel free to contact us. Also, you can experience the Airwheel electric scooter on the coming Hong Kong Electronics Fair and Canton Fair.